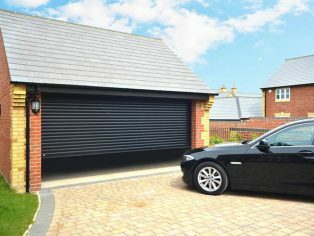 Garador’s space-saving roller door GaraRoll with high precision engineering and elegant looks is already a top seller. For 2016, new orders for Garador roller doors will be manufactured with enhanced features and improved design that will ensure they remain the stand-out doors. A new hinge connector on the header box provides a better seal on the box itself. This is an important improvement with benefits for externally fitted boxes subjected to all the elements of the weather. The new hinge connector also makes it easier to access the box for maintenance activities. In addition, the guide rails on the door have been widened providing an improved door movement. Two more brush seals have been fitted for each guide rail to give an even more of a water-tight door motion. The GaraRoll’s high-tech design is complemented by its modern appearance. With ultra-smooth fully insulated aluminium laths and a wide range of colours available, including deco paint and timber effect finishes, the GaraRoll has to be the roller door to choose. 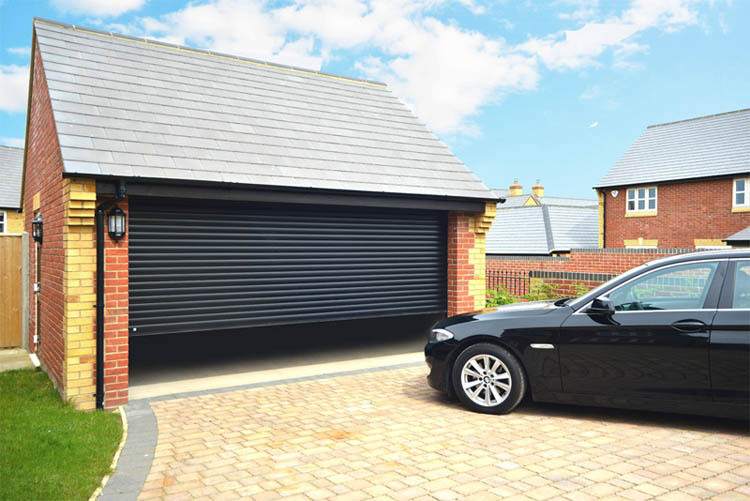 Garador’s GaraRoll roller doors are supplied with a 2-button hand transmitter and a 4-button hand transmitter as standard, both in the latest smart matt black styling.